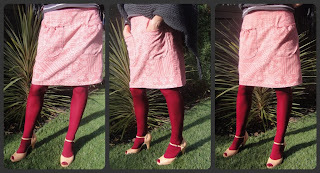 Originally a white garment (no label, probably handmade), with an interesting fabric print, but nondescript length, I found this skirt for a dollar in a local church op shop during the Australian summer. 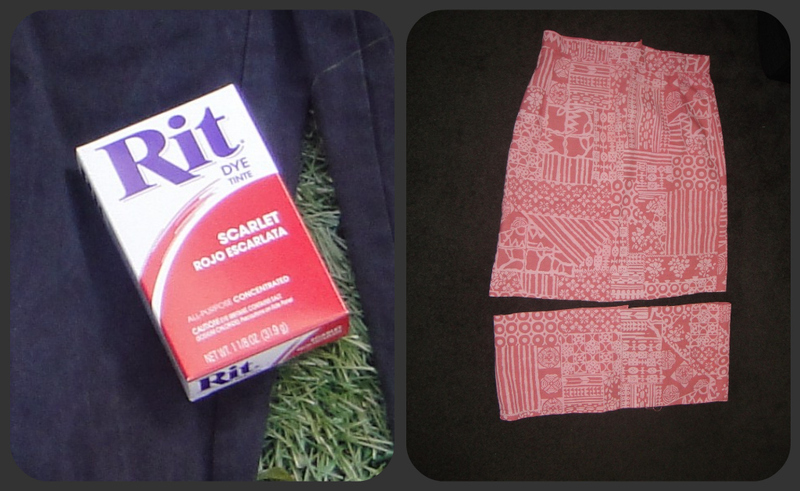 It has been sitting in my refashion to-do pile ever since. As a last minute decision, I thew it into my Ritt Scarlett dye wash last week. 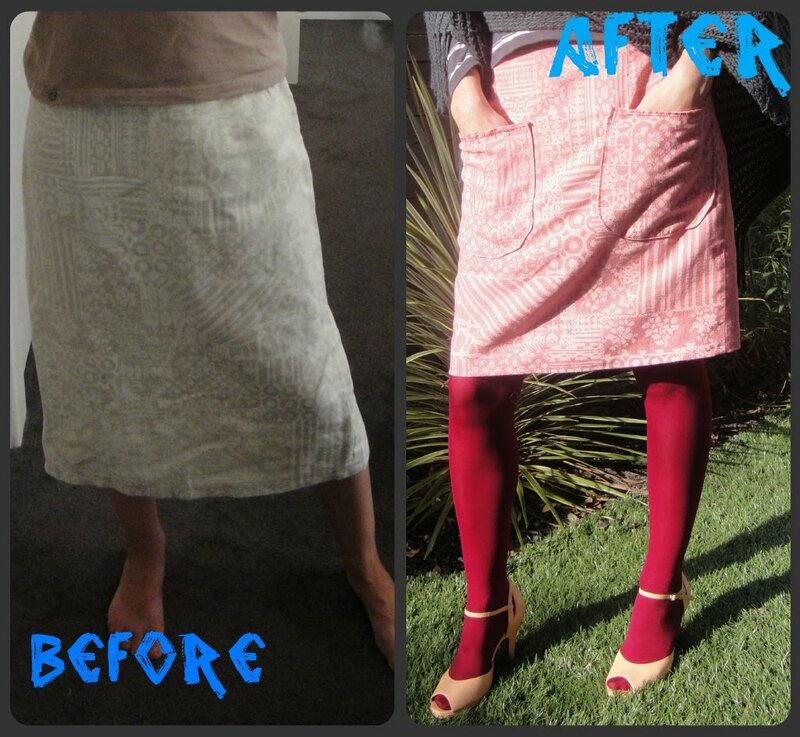 Whilst Ritt Scarlett turned my beige shirt coral, my skirt came out pink. In addition to its dye transformation, I chopped it off at the knee. 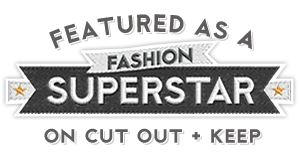 Now what to do with that leftover remaining fabric strip? It was used to cut two deep pocket shapes for the front of my skirt. I stitched a small piece of thin elastic inside the top of each pocket. A gathered pocket is more interesting than a flat one I thought? 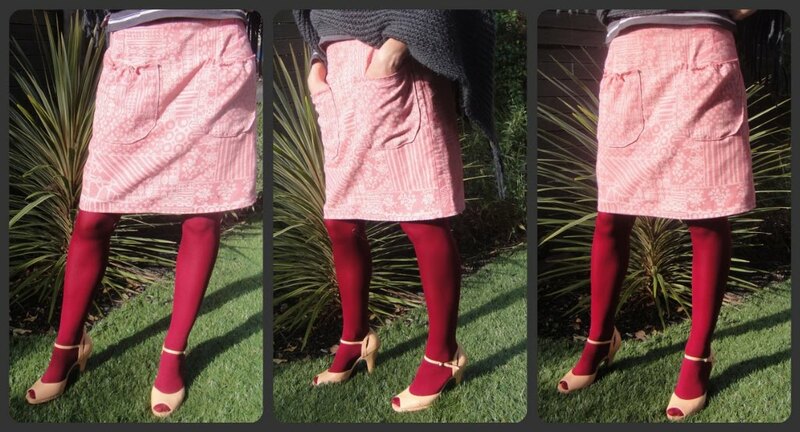 It is winter right now, and cold, so I wear my skirt with red tights, and my Ann Taylor Loft thrifted peach heels. 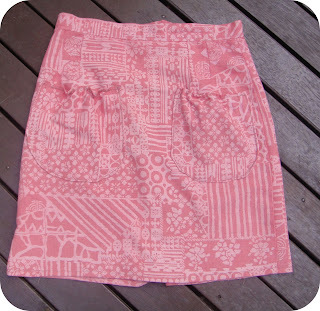 Dying this skirt has really emphasised it's interesting fabric print. Really like the way the dye brought out the pattern of the fabric. I love the color! This is giving me great ideas, especially the pocket addition! That's lovely, it's amazing how the pattern really jumps out. 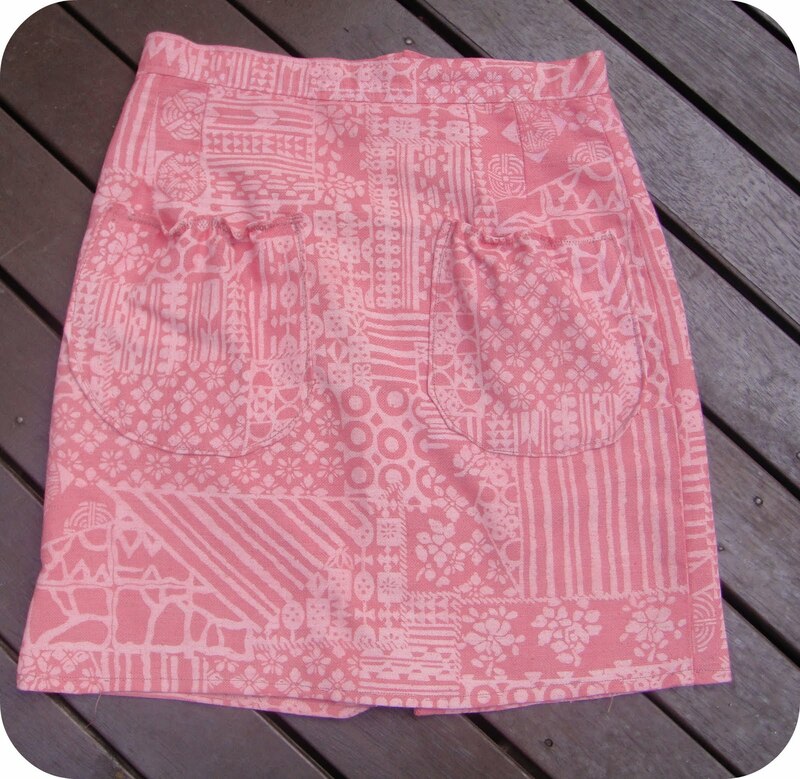 Love the pockets you created too. thats an amazing print! and the pockets are very cute. and the shoes! aah!! so many exclamation points! sorry. Great transformation! I love the new color! Love this!! 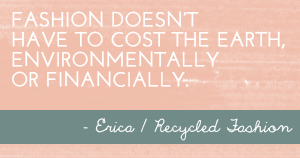 And for a $1 love it even more :) Thanks for linking up to Thriftaholics Weekly. Hope to see you there next week. Only you can you make $1 be so appealing? Great job!